Roger I. Lane, M.D., F.A.C.P. Roger I. Lane, M.D., F.A.C.P. is board certified in Internal medicine and has been practicing medicine in the Santa Ynez Valley since 1998. Prior to that, Dr. Lane achieved the rank of Major and served as the Chief of Internal Medicine in the United States Air Force at Vandenberg Air Force Base, California from 1994 to 1998. He completed his residency in Internal Medicine at the David Grant Medical Center at Travis AFB in Fairfield, CA from 1991 to 1994. 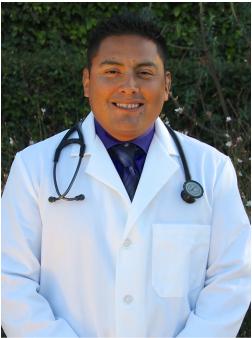 He received his Bachelor's and Master's degrees from California State University, Fresno and attended the University of Southern California School of Medicine through the USAF Health Professions Scholarship Program. 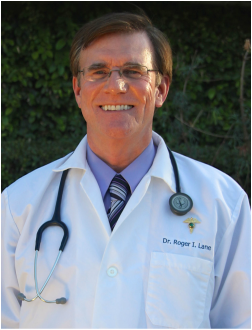 Dr. Lane has received the Physician's Recognition Award of the American Medical Association, was voted 'Best Physician' in the Santa Ynez Valley Journal, selected as one of "America's Top Physicians" in 2013, voted 'Best Doctor' in the Santa Ynez Valley News and was elected a Fellow of the American College of Physicians (F.A.C.P.). He is a member of the Santa Barbara County Medical Society, California Medical Association, American Legion and the Vikings of Solvang, a local charitable organization where he particpates on the executive board ("Goldcupper") and plays an active role in their charitable causes. Dr. Peters is a native of New Mexico and attended both UCLA and UCSB. She earned a degree in Zoology prior to receiving a Master’s Degree in Pharmacology in 1977. She then received a Physicians and Surgeons Diploma from the Autonomous University of Guadalajara, Mexico in 1981. Dr. Peters interned and completed her Residency in Internal Medicine at University of California, Irvine and the Veterans’ Medical Center in Long Beach, CA. Dr. Peters joins SYVMA following more than fourteen years with the Santa Barbara Medical Foundation Clinic in Santa Barbara, CA. She now lives in Solvang and has two children, Adam and Samantha. Pablo Rojas was born in the Santa Ynez Valley Hospital (now known as Santa Ynez Valley Cottage Hospital). He attended HeadStart, Jonata Elementary School and Santa Ynez Valley Union High School. From there, he attended Santa Barbara City College, then transferred to California State University, Northridge, where in 2003, he earned his Bachelor of Science in Kinesiology - Option: Exercise Science. He earned his Master of Science in Physician Assistant Studies from A.T. Still University of Health Science - Arizona School of Health Science in 2007. Dr. Heringer is a native of Kentucky and has practiced medicine in the Santa Ynez Valley since 1982. He is a graduate of Loyola Marymount University and University of Kentucky School of Medicine. Dr. Heringer completed his residency in Internal Medicine at Valley Medical Center in Fresno, CA. Dr. Heringer is the past Chief-of-Staff of Santa Ynez Valley Cottage Hospital and was voted the Best Doctor for three years in a row in the “Best of the Valley” contest in the Santa Ynez Valley News-Press. Dr. Heringer and his wife, Kathi, have two children, Taylor and Brittany.